I wandered around in Taipei to a couple of small gatherings on Saturday. At meet up organized by Jerome Keating (see post below this one) I had the pleasure of meeting Lynn Miles, the legendary activist and campaigner, whom I have long admired (pictured above). I snapped him in the middle of a discussion of DPP election prospects, which accounts for his cheerful and relaxed demeanor. After lunch I wandered over to the 2-28 Memorial Park, where lawyer, environmental activist, and gadfly Robin Winkler was holding a subversive gardening activity in front of the National History Museum. Robin is one of the most intelligent and energetic people I know, a good man to fight City Hall with or lift a glass with. Enjoying the gorgeous winter weather in Taipei. Looking at the gaggle of gardeners, I asked Robin what the group was up to today. Robin said that this gardening activity is in celebration of International Buy Nothing Day. The idea, he said, is that human consumption is excessive, and so they should spend a day and not buy anything. "Hopefully people will say 'hmmm, do I really need to buy that?'" Robin described. What about the economy? Robin said that his group is thinking about the long-term economy, about a sustainability-oriented economy. "We view ourselves as long-term economists." He explained that Buy-Nothing day was started by Adbusters, a Canadian foundation, about 10 years ago. "There are buy-nothing days celebrated in Japan, Europe, all over the world." About half the group, Robin continued, had just taken a two-week course in I-lan where they learned about urban gardens and sustainable economics. This was begun by an Australian about thirty years ago, Robin said, who got tired of resisting and went to the creation side. "Gandhi talks about in order to create change, you gotta have resistance, but you also gotta have something better in order for people to go into. So this is the creative side." Robin went on to give the example of a local French expat is talking about using Taiwan as a base for millions of dollars in exports of organic crops, using Taiwan's rich, fertile soil. "We're using 2-28 park to highlight the way that in Taipei, we consume parks. The government consumes parks by putting in all this cement, and then before its useful life is up, they tear it out again and then give it to another construction company." Robin concluded by emphasizing the importance of gardening as a subversive political act. The most important thing you can do is to grow your own food, he said. In homage to that ethic, they did not apply for permission to put in a garden in front of the Natural History Museum. Reporters wait in front of the place where Chen Shui-bian was under interrogation. I headed over to Dead Dictator Memorial, currently known as Nameinflux Hall, to see the Wild Strawberry Student protests. There was a decent crowd on hand to keep the small group of students company, and to cheer them on. One of the student leaders I spoke to said that they gotten a few hostile voices from the crowd, but others in the crowd had kept them at bay. The Wild Strawberries held an event last week in which they conducted a funeral for human rights. Here is the place where the Wake for Human Rights is being held, right under the shadow of one of the most notorious violators of human rights in history. As if in echo of Robin Winkler's point about the subversiveness of gardening, the students told me they had planted a garden there as a symbol of their determination to stay. Afterwards I went for a walk, and had the luck to catch a marching band practicing its evolutions under the watchful eye of the Dead Dictator. Jerome Keating (left) with Su Tzen-ping. Saturday's breakfast club meet up saw Su Tzen-ping, who served as Chariman of the Board of Taiwan's Central News Agency from July 2002 to June 2008. From 1988 on he was a reporter, researcher, department head and then editorin chief at the Independence Evening Post Group. From 1996 to 2000 he worked for the Taiwan Daily as chief editorial writer. In 2000 he was appointed the first non-mainlander DirectorGeneral (minister level) of the Government Information Office (GIO) and stayed there until the cabinet resuffle in Feb. 2002. After that he went to the Central News Agency for the regular six year term as Chairman. The talk opened with a nod to the international audience, consisting of individuals from 'seven or eight countries". Having worked in media for many years, Su Tzen-ping wanted to talk about three questions. First, how has Taiwanese media today? We can describe Taiwanese media as "free but discredited," he said. This year was the 20th anniversary of the newspaper ban was lifted. Before that, newspapers were restricted. New licenses for papers were not issued. Pages were limited to 3 sheets of newsprint, or 12 pages. Further, you could not print where you were not published -- if you published in Taipei, you couldn't print your paper in Kaohsiung. This limited the size and influence of the media. Referring to the lifting of the ban, he said with a smile: "On that special day, I became a journalist." After that, there was a rapid process of development. Now we have eight 24 hour news channels in Taiwan. 24 hours, only news, he pointed out. Reporters without Borders has ranked Taiwan's press as the freest in Asia, in 2006 and 2007, is did Freedom House in 2007. He then made the point that polls show that the public here does not trust the media. With this he answered his first question. Second question: Taiwan has never had a tradition of good journalism. There was a brief period just after the KMT arrived in 1945, but after that the government, the party, and the military controlled the media. Su Tzen-ping discussed the media during the martial law period, including the famous Independence Evening Post, but even at that time, as an independent publisher, you had to compromise with the government. For example, "we had a KMT Chairman of the Board and a KMT director. Fortunately the publisher was able to designate his editor." There were only three TV channels, all government controlled. The radio was controlled by the government and the military, and there were private radio stations, owned by retired military people. That was the picture of the media before 1988. "In this situation it was really difficult to have independent or really good journalists." Su Tzen-ping referenced Antonio Chiang, the current Editor in Chief of Apple Daily. In those days he worked as the foreign correspondent for the China Times, but was forced out because he was too close to the pro-democracy tangwai politicians. "It seems to me that we've never had a tradition of good journalism in Taiwan," Su observed. After the ban, the papers still enjoyed a little political privilege, and it was a difficult market. But today, the real power of change is coming from the market and technology. First, the technology brings in cable channels, with 24 hour news, so the influence of television is greater. This changed the landscape of television news. New owners flowed into radio, and of course there are the illegal radio stations. The newest victim of this market is the China Times. They were losing NT$100 million monthly, so they had no chance to survive. On the other side, the Liberty Times. After the lifting of the ban, a real estate tycoon bought the paper, originally a small Taichung paper, and made it big. Also, the Apple Daily, owned by Jimmy Lai from Hong Kong. Both claim that they have the biggest circulation in Taiwan. No one really knows what the circulation is, however. Now a successful Taiwanese businessman in China, Mr. Tsai, the head of the Wan Wan group, has purchased the China Times, and it isn't clear yet what he wants with the newspaper. The political confrontation in Taiwan, said Su Tzen-ping, is severe. And because the media is in Taiwan is trapped between these two camps, so it is difficult to get the rid of the label of pan-Blue or pan-Green. "How about Apple Daily?" someone asked. "Apple Daily is a very strange combination," he said, to general laughter. It's primarily commercially oriented. "In my opinion, they have the best op-ed pages of any of the papers," he said. It's a combination of sensation news, impartial opinion pages, and very useful, convenient information for daily life. For example, he noted, you can easily find where there are special sales for today -- exact items and prices. He used Apple Daily as an example. When Apple Daily invaded the market, he said, everyone said that there was no room for another newspaper. With this specific strategy, they succeeded. Today everyone criticizes the quality of the newspapers. "Maybe I think good quality news is a good strategy for a newspaper, perhaps a weekly," he said, hinting that perhaps he was considering opening a newspaper. "But it is not a healthy working environment for journalists," he said, becoming serious after a round of jokes. "People ask me what I am doing after the CNA, and I tell them, I mostly work as a psychological consultant for frustrated journalists," he joked, to general laughter. In the old days there were no independent journalist organizations, he went on to say. Associations were controlled by the government and they were simply the transmission belt for government authority. But for the last ten years we have had a "very active" organization in united journalists to fight for the rights and to protect journalists. Su Tzen-ping is a co-founder of the organization. The purpose of this organization is not to fight for the pan-Blue or pan-Green camp, but to fight for the rights of journalist. They have done things, he said. For example, during the protests over the Chen Yunlin visit, the police tried to obtain pictures of protesters from the press to identify people who committed crimes. But the journalist association protested this to the police administration, since it can put journalists and photographers in danger. The police ignored us,just sending a low ranking official to accept the protest, said Su Tzen-ping in response to a question on the police reaction. This concludes the presentation, he said. "There's a lot to do, but media is too important not to do anything." In response to a question on circulation, he said he did not know circulation figures. Robin Winkler, a longtime lawyer and environmental activist, asked how to get the media to cover environmental issues. Su Tzen-ping responded by noting that this is a common problem for interest groups in Taiwan society. Sadly, I must note, in the modern political consensus, the "environment" is an "interest group." Su Tzen-ping advised Winkler that you have to "locate the media," those media and journalists who you can cooperate with. The media, he said, wants good stories. On the list of Things Michael Never Wants To Hear Again, right near the top is the claim that Chinese aren't logical. Sure enough the next question, asking about the readers of newspapers and their education, came from a Christian missionary, who claimed that "most people in Taiwan I talk to are not logical." As if belief in Christianity is even within shouting distance of logical, or westerners have somehow taken out a patent on logic, or perhaps we possess special magic logic powers denied to the benighted denizens of Chinese culture. This was followed by a question observing that Chinese do not live in the same reality we do. I was very happy to hear this, since I had previously thought that all those missiles Beijing points at us were in this reality and not some other (yes, to paraphrase Nietzsche, even if it hasn't killed you yet, it is still real). That second question came from a media representative, because you know how media people have a special grip on reality. Su Tzen-ping handled these questions with calm agreement, observing that the readership must be improved, and that media organizations have pushed the Ministry to incorporate media courses in middle and high school. I have to say that I often admire the patience and serenity of the Taiwanese in response to egregious western ethnocentricity. I then asked what I personally had come to hear: whether he had any thoughts on the CNA under the new adminstration, but he had none that he would share with us. In response to a question on the future of the media, he pointed out that Jimmy Lai really wanted to get his hands on CTI, China Times' cable partner, in order to form the news channel segment of an integrated media. The Q&A session then became a discussion of the problem of getting beyond the Blue/Green divide, which led to some stimulating private conversations. Jerome often gets great guests at his meetups. Many thanks for your hard work, Jerome, and to Su Tzen-ping for sharing. There is nothing substantial besides fear and pro-independence opposition to suggest that any Taiwan president would acquiesce in Beijing's demands to recognize the so-called one China principle or accept a Hong Kong-style special administrative region settlement anytime soon. The demands of domestic stability will impel Ma to stick with the political status quo while he pursues agreements in other economic areas where understandings with Beijing reportedly have been reached. The real significance of these historic direct links agreements is that it is becoming less urgent for both China and Taiwan to pursue political goals in their relationship. Instead, we might be witnessing the beginning of an era of cross-strait relations conducted in much the way that normal diplomatic relationships are conducted. Perhaps the era of outrage - Beijing demanding capitulation and Taipei screaming de jure independence - will be overtaken by what could be a continuing search for the benefits of increased interdependence. Goldsmith writes: There is nothing substantial besides fear and pro-independence opposition to suggest that any Taiwan president would acquiesce in Beijing's demands to recognize the so-called one China principle or accept a Hong Kong-style special administrative region settlement anytime soon. Yes, that's right. Ma never downgraded Taiwan's status to that of a "region" and has no open, formal commitment to annex the island to China either on his own part or his party's. The recent wave of arrests of DPP politicians, as well as re-integration of the KMT with the government and the military in the best party-state style, that never occurred either. Ma never accepted the non-existent "1992 consensus" as the basis for negotiations, reversing a decade of pro-Taiwan diplomatic gains. According to Goldsmith, pro-independence paranoia invented these events. Note also that Goldsmith gives us the trope that pro-democracy and pro-independence types are irrational. It's irrational to want freedom and independence when there is money to be made! Silly independence types! It goes without saying that Goldsmith presents no evidence to support his claims that Ma does not threaten Taiwan's current de facto independence from China. Instead, readers are invited to believe it as an article of faith that all rational individuals adhere to. But more importantly, observe how Goldsmith simply makes eight years of progress on China relations disappear into the phrase "era of outrage" in which Beijing and Taipei behaved irrationally. The reality is that cross-strait links blossomed under the DPP -- investment in China was legalized, direct flights occurred, rules for Chinese investment erected, exchanges of all sorts took place, and Taiwan investment in China may have crossed the $200 billion mark. Those irrational and paranoid DPP politicians negotiated an opening to China not seen since Taiwan was a colonial holding of the Qing. There would have been even greater opening, but -- and here's the utter refutation of the Establishment position argued for by Goldsmith -- it was China, not Taiwan, that chose not to negotiate. The Chinese simply waited hoping for Ma to win the election, since he was likely to be more pliable than the pro-Taiwan DPP. As reality has shown. The "era of outrage" was actually an "era of engagement" that the current KMT administration is building on in its negotiations with China, in which the world's busiest air route was between a city in China and a city in Taiwan. The world that Goldsmith posits is a hollow candy shell completely at odds with actual history. But it does have that chewy false dichotomy filling to it that the media finds so satisfying. Taiwan's domestic politics are severely divided over the course of the government's ongoing rapprochement with China. President Ma has not made any efforts to seek domestic reconciliation or attempt to communicate with the opposition over his intentions on cross-Strait policy. In fact, Ma’s statements and actions angered many people who believe that Taiwan should keep China at arm’s length. Taiwan appears to be more divided than before in the months since Ma’s inauguration, as evidenced by several large-scale, anti-government/a nti-China demonstrations. Consequently, Taiwan's status has been relatively weakened in facing the subtle and not so subtle threats from authoritarian China. A divided and weakened Taiwan severely threatens Taiwan’s national security, and is, by extension, not in the interests of the United States or Japan, its key ally in East Asia. All interested parties should therefore encourage the KMT to engage the opposition DPP in formulating its policy across the Taiwan Strait. In other words of Goldsmith, a weakened, divided Taiwan captained by an Administration that is pro-China is a good thing for US security arrangements in Asia; while in the world of Joseph Wu, it is a bad thing for US security arrangements in Asia. Probably Wu is just another paranoid, irrational independence and democracy supporter. Taipei - Taiwan and China will hold the last round of consultations next week to prepare for launching direct shipping in mid-December, a newspaper said Saturday. The United Daily News (UDN) said that China's Cross-Strait Shipping Association will send a delegation to Taiwan on December 2 to discuss technicalities of direct shipping with Taiwan's shipping officials. The talks are also expected to discuss if Taiwanese ships registered in foreign countries can join the direct shipping. Under the pact signed on November 4, only Taiwanese and Chinese ships are allowed to sail directly across the Taiwan Strait, so that the profits of cross-strait cooperation will not be shared by foreigners. However, since 477 Taiwan freighters - or 96 per cent of Taiwan's cargo/container ship fleet - fly foreign flags, Taipei asked China to allow foreign-registered Taiwan freighters to join the cross-strait direct shipping service. At present, if they stick to the agreement to limit shipping to own-flagged ships, all of the business will belong to China. Note also that if only Taiwan and China-flagged ships are to ply the Strait, then effectively, it is a domestic route. That place on the right is Little India in Taichung, now I think the best place in the area to get Indian food. The old chef from the Andrew is working there, and the food is glorious -- the naans fresh made, and the curries have six or seven shrimps instead of three like some other Indian places I could name. It is located behind the Splendor Hotel where the old Kohinoor used to be, near Bollywood, Spice Shop I, and Kebabish. A friend also informs me that at Bombay Masala, which occupies the old Andrew place behind Sogo in Taichung, you can get an ample set meal with soup, salad, dessert and main course + all you can eat naan/rice for only $369. Haven't eaten there yet. Weird goings on in the small town where I live: all meat has vanished from local shops as the whole town has gone vegetarian for three days as part of some temple celebration. I'd BBQ in protest, but there isn't a slab of ribs to be had here for love or money. Anyone notice our suddenly contracted supply of milk? Quite often lowfat is hard to find now. Milk got a double whammy -- lots of the stuff sold as "fresh" was actually reconstituted with powder from you-know-where and that disappeared from the market when the melamine scandal hit, affecting the supply side. Demand for fresh milk has increased as people have switched away from powdered, again because of melamine fears. In the couple of weeks following the melamine scare milk was hard to find indeed, but the shortage appears to have eased somewhat. Kondo ambushed and fighting for his life! Installments 9 & 10 of Dr. Paul Barclay's translation of Kondo Katsusaburo's experiences up to and during the 1930 Wushe revolt, which were serialized in the local Taiwan Japanese-language papers in the early 1930s. Kondo married into an aboriginal family and traveled extensively in aboriginal territory. (For introduction to Kondo and his era, see Installments 1 & 2. 3 & 4. 5 & 6. 7 & 8.) Dr. Barclay is the general editor of the wonderful Gerald Warner Taiwan Image Collection which I urge everyone interested in Taiwan to visit. Since the Aborigines asked Kondō to come fetch the head of Chiri Wadai, the District Commissioner's Office was worried, and tried to stop Kondō from entering the Aborigine territory on the off chance that something might go wrong. Kondō, however, said he was going. [It was decided that] both Sakamoto Noboru and Yoshikawa Tan of the Aborigine Affairs section would go with Kondō. The three men headed for Wushe. The Aborigines there handed over the head without difficulty. However, they angrily asked Kondō, "why did you go to Truku?" "I went there to search for Captain Fukahori's whereabouts. If nobody could find him, I thought that you would also be in trouble, because you were under suspicion by the Japanese authorities. That's why I went to search." The Aborigines are easily moved to doubt. On the other hand, they are very quickly persuaded [to understand otherwise], and all suspicions were allayed. Their [good] temper was completely restored. They went so far as to say that in the near future, they would make a "stone burying" pledge. The "stone burying" pledge is a ceremony that promises a cessation to head-taking, effective when the stone is buried in the ground. The ceremony displays the unshakeable and eternal nature of the pledge, symbolizing that even though the stone itself might decay, the pledge would continue to be honored. When the day for the ceremony arrived, however, they begged to stipulate a three-year expiration date, just as they were about to take the pledge. "If you stop us from head-hunting forever, we cannot fete our ancestors," they insisted, to avoid making the pledge eternally binding. So, reluctantly and seeing no other way, their request was granted. There were other complications as well. Just as the ceremony was completed, it became known that a Wanda man had gone head-hunting that day, killing a Japanese man at Wentougang on his return home. For this violation of the pledge, Wanda was prohibited from trade. That is to say, Wushe's rather equivocal three-year [pact] was obtained with some difficulty. This all occurred on May 4th, 1899. From this time until around January, 1901, Kondō reopened his trading post. 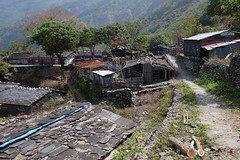 While operating his business, he also doggedly looked for a trail to Nenggao upstream on the Wanda ravine, from Katsukku village of Wushe. Here there appeared men who wanted to take Kondō's head due to a misunderstanding. The trading post in Wanda village had been closed since 1897. And they were again refused permission to trade because of the [incident during the May 4, 1899] stone-burying ceremony in Wushe. Thus, Wanda village felt unfairly treated. In January of 1901, they held a general council. If we take Kondō's head, they reasoned, another Japanese man will arrive and open a trading post. So Kondō's head became a target. Wanda tried to get Wushe to participate, but from the beginning, Wushe had permission to trade, so they disagreed with the plan. The [Wanda] emissary was sent off, and the [Wushe] headman sent a notice to Kondō immediately. Kondō then reported to the sub-prefect, to consult on how to remedy the situation. The sub-prefect decided to permit trade again, but with conditions attached. The trading post would send a bolt of red Chinese cloth, known as pikke to Wanda. In exchange, Wanda would send fifty pieces of "Aborigine cloth" to the bereaved family of the Taiwanese victim of the head-taking incident, as an apology. Once these requirements were fulfilled, the [Wanda] Aborigines would be granted permission to trade. The fifty pieces of cloth were at last ready on April 20th ; the Wanda village headman brought them himself. He also reported that he had brought some camphor wood, which was still behind him, in the mountains. He asked to trade the lumber, and Kondō replied that he would have a look. That evening they climbed the mountain behind Puli. As soon as they arrived at the spot where the headman pointed out the waiting lumber, four spears suddenly appeared, coming from all directions. Kondō met his fate as the spears went through him with no care for a particular target. He received wounds on his chest, stomach, and left side; he was hurt badly. Fresh blood gushed out of him in the darkness of these savage hills. Nonetheless, being a son of Japan, Kondō thought he had to strike at least one blow. With desperate effort, he swiped a spear, and the battle between Kondō and four or five Aborigines commenced. As Kondō reconciled himself to die there, he fought for his life with desparation. As his hand responded to the grip of the bamboo spear, he even thought, "this is every man's dream!" And yet, during the skirmish, he heard the chief energetically scolding his excited men to stop. As he was being struck by the [first] multidirectional thrusts, Kondō believed he had been lured out and trapped by the headman. However, it did seem as if the headman had been restraining his men from the beginning. Besides, a second attack, strangely enough, never came. Kondō could not understand what was happening. Meanwhile, his opponents, who had emerged from the darkness, fled back into darkness. "It was because young, hot-blooded [men] got excited ... please forgive me." The chief apologized as he assisted Kondō. [The headman] carried Kondō into the house of Takada Gigorō, the manager of the trading post, and then fled for fear of the consequences. It was 8:30 in the evening, in a place called Wugonglun. The trading post was located some three kilometers from Puli. Mr. Takada immediately administered first aid and then carried Kondō back to his own home. At the time, Sappo [or Sazo] Chitsukku, Kondo's wife's elder brother (the man who, frightened by the pocketwatch, smashed it), and two or three Wushe braves had come over [to Kondō's place]. They were incensed at the Wanda villagers, and immediately hunted them down and exacted revenge. The Wanda men included Aui Baan and seven others. They had been lying in wait for Kondō the whole time when he happened to emerge behind the mountain. It seems as if, seizing the opportunity, they meant to take his head. The following day, on April 21st, 1901, Kondō was carried by means of a wooden door to an Aborigine guest hut in Puli. After hearing about Kondō's travails, his acquaintances became quite concerned. Fortunately, the following day, a new man known as a "public physician" arrived at his post in Puli. They requested that Kondō be examined at once. In addition, Doctor Satō of the Puli Battalion came to help Kondō. There were many wounds on Kondō's body; one around a left rib by the chest, one that scratched his intestine near the stomach, a sideways gash on his thigh, and the biggest of all, a wound in the side of his belly. There were numerous others well. The hemorrhage from the chest wound would not stop, no matter how many times Dr. Satō stitched it up, so he sewed the wound to a bone to stop the bleeding. And yet, the internal bleeding could not be stopped as quickly, and there was nothing that could be done. Kondō's stomach gradually swelled up and the pain became unendurable. Kondō and the men around him considered the situation hopeless. Hence, Kondō left his last testament to his younger brother, Gisaburō. (The younger Kondō had crossed over to Taiwan that year, as a mere boy of sixteen; much later, he would be declared missing.) Soon after, Kondō fell prostrate and sank into a comatose state. It was 9:00 am! Things remained the same until 3:00 pm, so it was said that people had started preparations for the funeral. After he regained consciousness, Kondō felt all better. His wounds entirely healed within half a month. Though Kondō recovered, the men of Wushe did not so easily overcome their rage. They felt that at least they should attack Wanda village for revenge; they requested a little over a kilogram of gunpowder and matchlock fuses from the sub-prefect. Kondō became alarmed and stopped them. "Please do not exact any revenge in addition to that exacted by my full recovery. On another occasion, I may have the chance to avenge myself," said Kondō, calming them down. In fact, his words were prescient. At the time, Kondō did not know that he would play a great part in the Japanese government's extension of the Aborigine guardline. The CSC used to wield power over adopting major national policies and appointments of senior officials to public offices. Senior Cabinet officials used to take around one-third of the CSC seats. But none of the incumbent Cabinet members are represented in the new panel this year after President Ma Ying-jeou adopted a new policy of delicately divide the party and the government as part of his alleged aim to make the government serve all people regardless their party lines. However, the new approach has more or less invited antagonism from the party establishment and lawmakers that are displeased by Ma’s policy of keeping an arms-length distance from his own party. In the first two paragraphs, the China Post notes that in the old days the CSC was the power behind the Party-State, the old style government. By integrating the cabinet heads into the Central Standing Committee, and having the CSC appoint them, the KMT made sure that the Party and the government were essentially the same thing, and that the Party maintained its grip on the government. But in comes Ma Ying-jeou, dedicated reformer, dedicated to keeping the party and state apart. How long did that last? Chairman Wu Poh-hsiung’s nomination of five appointees as the party’s new vice chairpersons was approved at the meeting. The new vice chairpersons include John Chiang, KMT legislator, Wu Den-yi, KMT Secretary-General, Tseng Yung-chuan, Vice Speaker of Legislative Yuan, Eric Chu, Taoyuan County Executive, and Huang Ming-hui (female), Chiayi City Mayor. The five additional vice chairpersons give the KMT representation in the legislature and local governments. What happened to Party and State separation? Apparently, it got lost in the integration of the cabinet heads with the Party. As I've said before, just regard Ma's inaugural speech as a 1800 backwards road map of the future. For various reasons, some valid, some shameful, the credibility of persecuted refugees has often been doubted in the West. In 1939, a British Foreign Office official, politely speaking for the majority, described the Jews as not, perhaps, entirely reliable witnesses. During the Great Leap Forward, emaciated refugees from the mainland poured into Hong Kong, yammering about deserted villages and cannibalism. Sober Western journalists ignored these accounts as subjective and biased. Taiwanese doctors who arranged for patients to receive transplants on the mainland claim that there was no oversight of the system, no central Chinese database of organs and medical histories of donors, no red tape to diminish medical profits. So the real question was, at $62,000 for a fresh kidney, why would Chinese hospitals waste any body they could get their hands on? Yet what initially drew most fire from skeptics was the claim that organs were being harvested from people before they died. For all the Falun Gong theatrics, this claim was not so outlandish either. Any medical expert knows that a recipient is far less likely to reject a live organ; and any transplant dealer will confirm that buyers will pay more for one. Until recently, high volume Chinese transplant centers openly advertised the use of live donors on their websites. It helps that brain death is not legally recognized in China; only when the heart stops beating is the patient actually considered dead. That means doctors can shoot a prisoner in the head, as it were, surgically, then remove the organs before the heart stops beating. Or they can administer anesthesia, remove the organs, and when the operation is nearing completion introduce a heart-stopping drug--the latest method. Either way, the prisoner has been executed, and harvesting is just fun along the way. In fact, according to doctors I have spoken to recently, all well versed in current mainland practices, live-organ harvesting of death-row prisoners in the course of execution is routine. The real problem was that the charges came from Falun Gong--always the unplanned child of the dissident community. Unlike the Tiananmen student leaders and other Chinese prisoners of conscience who had settled into Western exile, Falun Gong marched to a distinctly Chinese drum. With its roots in a spiritual tradition from the Chinese heartland, Falun Gong would never have built a version of the Statue of Liberty and paraded it around for CNN. Indeed, to Western observers, Falun Gong public relations carried some of the uncouthness of Communist party culture: a perception that practitioners tended to exaggerate, to create torture tableaux straight out of a Cultural Revolution opera, to spout slogans rather than facts. Liu Guifu is a 48-year-old woman recently arrived in Bangkok. She got a soup-to-nuts physical--really a series of them--in Beijing Women's Labor Camp in 2007. She was also diagnosed as schizophrenic and possibly given drugs. But she remembers her exams pretty well. She was given three urine tests in a single month. She was told to drink fluids and refrain from urinating until she got to the hospital. Was this testing for diabetes or drugs? It can't be ruled out. But neither can kidney-function assessment. And three major blood samples were drawn in the same month, at a cost of about $1,000. Was the labor camp concerned about Liu's health? Or the health of a particular organ? Perhaps an organ that was being tissue-matched with a high-ranking cadre or a rich foreign customer? The critical fact is that Liu was both a member of a nontransformed Falun Gong brigade with a history of being used for organs and was considered mentally ill. She was useless, the closest approximation we have to a nameless practitioner, one of the ones who never gave their names or provinces to the authorities and so lost their meager social protections. There were certainly hundreds, perhaps thousands, of practitioners identified by numbers only. I've heard that number two hundred and something was a talented young female artist with nice skin, but I don't really know. None of them made it out of China alive. None of them likely will. Tibetan sources estimate that 5,000 protesters disappeared in this year's crackdown. Many have been sent to Qinghai, a potential center of organ harvesting. But that's speculative. Both the Taiwanese doctors who investigate organ harvesting and those who arrange transplants for their Taiwanese patients agree on one point: The closing ceremony of the Olympics made it once again open season for harvesting. Some in the human rights community will read that last assertion with skepticism. Until there is countervailing evidence, however, I'll bet on bargain-basement prices for organs in China. I confess, I feel a touch of burnout myself at this thought. It's an occupational hazard. It's why I told that one-night-in-Bangkok joke to get you to read beyond the first paragraph. Yet what's really laughable is the foot-dragging, formalistic, faintly embarrassed response of so many to the murder of prisoners of conscience for the purpose of harvesting their organs. That's an evil crime. According to our interviews (Ethan Gutmann and Leeshai Lemish) from July 2008 for my forthcoming book: Resurrection: the Untold Story of the Clash between Falun Gong and the Chinese State--from 1995-1999 about 100 Taiwanese patients were going to China each year for kidney transplants. The boom starts around 2000, hitting about 360 per year by 2002. It slows down for SARS, but by 2005 about 450 people went from Taiwan to China to do kidney or liver transplants. By July 2008, the price had pretty much doubled. According to the Taiwanese doctors who often go to China and interact with the doctors there: If there is no international pressure, after the Olympics the price will go back down to "normal" levels--just too much of a profit to be made for mainland doctors." Gutmann refers to the work of Canadian MPs Kilgour and Matas, whose excellent website on the topic of organ harvesting, complete with their report, is here. A scooter takes a midnight ride across the campus of NCKU. The Modern East Asia Research Centre (MEARC) at Leiden University, the Netherlands, offers a grant meant for recent PhD graduates who have focused on the study of modern Taiwan in Comparative East Asian Perspective, in the disciplines of politics, history or philosophy. Grant receivers are supposed to transform their dissertation into a book during a period of twelve consecutive months, in which they are to live in Leiden. The grant consist of a lump sum of Euro 20.000. MEARC was founded in 2006. MEARC's purpose is to support, showcase and stimulate genuinely disciplinary and comparative research in the disciplines of politics, history and philosophy on modern East Asia in the period since the beginning of the 19th century until today. Applicant's qualifications: Candidates must hold a PhD degree. Preference will be given to candidates with: 1) a recent PhD degree in Chinese or Taiwanese Studies, and a demonstrable specialisation in modern history, political science or philosophy; or alternatively, a PhD in history, political science, or philosophy, and demonstrable specialization on modern China or Taiwan; 2) outstanding research qualities manifested in a high-quality dissertation; 3) an excellent command of modern Chinese (mandarin) and good command of English. Application procedure: Applications can be sent by regular mail. Applications should be accompanied by curriculum vitae, abstract of the dissertation, a preliminary book outline and max. two representative publications. Incomplete applications will not be accepted. The Modern East Asia Research Centre (MEARC) at Leiden University, the Netherlands, offers two scholarships to facilitate field research conducted in Taiwan. Scholarship receivers are expected to focus on the study of modern Taiwan in Comparative East Asian Perspective. Applicant’s qualifications: 1) Candidates must hold a PhD degree and be affiliated with an European academic institution. 2) Preference will be given to candidates with: -a PhD in Chinese or Taiwanese Studies, and a demonstrable specialisation in modern history, political science or philosophy; or alternatively, a PhD in history, political science, or philosophy, and demonstrable specialization on modern China or Taiwan; -outstanding research qualities; -a letter of invitation from a Taiwanese partner institution. period of three weeks, including the days of arrival and departure. Application procedure: Applications should be sent by regular mail Applications should be accompanied by a research plan, a list of publications, max. two representative publications and a curriculum vitae. Incomplete applications will not be accepted. My Lord, may I also remind my learned friend that his witness, by her own admission, has already violated so many oaths that I am surprised the Testament did not LEAP FROM HER HAND when she was sworn here today! I doubt if anything is to be gained by questioning you any further! That will be all, Frau Helm! Former Chinatrust Financial Holding Co (中信金控) vice chairman Jeffrey Koo Jr (辜仲諒) returned to Taiwan yesterday after being on the run for almost two years. He was immediately handcuffed and escorted to the Supreme Prosecutor Office’s Special Investigation Panel (SIP) for questioning. All investigations involving Koo, who returned to Taiwan from Japan on his private plane around 9:45am, will now be handled by the SIP, a chief investigator said. SIP spokesman Chen Yun-nan (陳雲南) said that after talking to State Public Prosecutor-General Chen Tsung-ming (陳聰明), it was decided that the probes, including one into Koo’s suspected role in a questionable financial deal and another into his possible role in alleged corruption involving the former first family, would be handled by the SIP. Koo has been on the Taipei District Prosecutors’ Office wanted list since December 2006 after twice failing to appear to answer questions regarding his role in Chinatrust Financial’s investment in Mega Financial Holding Co (兆豐金控) through its Hong Kong branch. Prosecutors were also anxious to talk to Koo about the sale of a piece of land in Taoyuan County owned by a development company controlled by Koo and his family, through which former president Chen Shui-bian’s (陳水扁) wife, Wu Shu-jen (吳淑珍), is alleged to have received NT$400 million (US$12 million) in kickbacks. Jeffrey Koo Jr’s alleged involvement in the deal came to light on Nov. 14, when Taiwan Cement Corp (台泥) chairman Leslie Koo (辜成允), his uncle, told prosecutors that his nephew had introduced him to the former first lady’s friend Tsai Ming-cher (蔡明哲), who instructed Leslie Koo on where to wire a NT$400 million “commission” on the land purchase. So obvious is the appearance of a deal between prosecutors and Koo that the government was forced to deny that it had cut a deal to get Jeff Koo Jr. to return after being on the run in Japan and the US for two years. Since KMTers rarely return to face prosecution (whereas President Chen stuck around to face prosecution by a hostile administration) it is hard for many to believe that arrangements have not been made. Some history: the Koos are an old family with a long history of "collaboration" with the authorities to advance the familial interests. Originally from Lukang (the old homestead is now the Folk Museum there), the patriarch of the family, Ku (Koo) Hsien-jung, opened the doors to the incoming Japanese in 1895 and helped them pacify the northern part of the island. He was rewarded with gifts of land and made investments across many industries, sitting on the boards of most of the island's corporations in the prewar period. Politically connected and powerful, he was the first Taiwanese to sit in the Japanese House of Peers. At the end of the Japanese period his companies were forcibly merged into larger Japanese firms and he was left with his landholdings and investments. In the postwar period the landholdings were forcibly converted under the land reform into shares of Taiwan Cement, and his son, the famous Koo Chen-fu, became head of the corporation, eventually making the company one of the most important on the island, gaining a seat on the Central Standing Committee of the KMT and becoming one of the most powerful men in Taiwan. In other words, Jeffrey Koo Jr is a junior member of one of the most powerful families on the island with intimate connections to the KMT. Readers will have to make their own judgments about whether such a person came back out of the goodness of his heart to admit to and then testify to a crime which just by coincidence happens to bear on the guilt of the former President whom the current ruling party appears to be obsessed with destroying. From Chiayi County Commissioner Chen Ming-wen (陳明文) and Su to Chen Shui-bian, a climate of political character assassination is brewing. Is every prosecutor in Taiwan going to sink into this mire? Prosecutor Eric Chen (陳瑞仁) of the Taiwan High Prosecutors’ Office, for one, has seen more than he can take. Speaking at a symposium on prosecution reform, Chen said that the prosecutorial system should avoid clustering the accused into particular groups. No wonder the SIP has become known as the “Chen Shui-bian Investigation Panel.” Frighteningly and lamentably, the prosecutors handling these cases have not just surrendered to Ma and his clique, but have become his willing pawns. President Chen's lawyer today was back trying to get the detention ended on the grounds that the reasons for it no longer apply. The government, bending over backwards as always to avoid the appearance of political persecution, is investigating Chen's lawyer, ostensibly for reading a poem from Chen to his wife aloud to the media without obtaining permission from the court. UPDATE: The media is reporting that despite Koo being a proven flight risk (having fled once before), he was given no travel ban, and set free on bail (the 4th highest in Taiwan history). As opposed to Chen Shui-bian, who was detained without any charges being filed, and the other DPP detainees. Kondo finds the remains of his dead buddies! Installments 7 & 8 of Dr. Paul Barclay's translation of Kondo Katsusaburo's experiences up to and during the 1930 Wushe revolt, which were serialized in the local Taiwan Japanese-language papers in the early 1930s. Kondo married into an aboriginal family and traveled extensively in aboriginal territory. (For introduction to Kondo and his era, see Installments 1 & 2. 3 & 4. 5 & 6) Dr. Barclay is the general editor of the wonderful Gerald Warner Taiwan Image Collection which I urge everyone interested in Taiwan to visit. and Kondō Katsusaburō, which makes fifteen altogether. They completely lost contact after leaving Toda for Truku on December 26,th 1896, but reappeared before Kondō as eight heads on October 10th of the following year. "There are four more Japanese skulls near Xakut!," said some Aborigines. But if that were the case, then what about the remaining two? They claimed that Captain Fukahori's troupe was not killed by Aborigines. During the time they stayed in Truku, the troupe surveyed the topography to make a map. "The Japanese do strange things; they do work that has no concrete shape to it. This is the work of either gods or demons," said these Aborigines, who were frightened of the Japanese. This [fear] indicates that the Japanese were at least safe when they left Truku country, [because the locals regarded them with such dread]. Next, they climbed Mount Kashuan, in the interior of the mountain range. Unfortunately, the weather turned that night, and it began to snow heavily. This continued for days. Most likely, they were advancing with the goal of reaching Hehuanshan. From there they could follow the Takkiri ravine upstream and emerge at Hualien Harbor. It seems that they froze to death one by one in the accumulating snow, becoming separated, scattered, and lost. Under these conditions, Captain Fukahori battled the cold and discomfort to find a way out, until he was the last man standing. He appears to have wandered about looking for a road home. He was surrounded by only sublime nature itself; there were mountains of white everywhere he looked. He called out, but none of his men replied. He wanted to proceed, but there was nowhere to go. There, he must have been driven into his last ditch. After some of the snow melted, Aborigines discovered Japanese here and there. They used dogs to locate and secure the eight heads. Those who got lost on the road to Xakut were found by the Xakut villagers, among whom the four other skulls still remained. "Well then, what happened to the Captain?" Serious doubts [about this question] circulated among the Aborigines, and they pursued the search for Fukahori. Finally, in Truku country, they discovered a [corpse with a] masterfully ripped-open abdomen a half-kilometer beyond Burayau village, at the bottom of a cascade. Presumably, Fukahori leapt from an overhanging cliff to commit suicide. The Aborigines were alarmed at the sight of such a boldly performed ritual disembowelment, the first they had ever seen. In awe, no Aborigine would even approach the corpse to claim the head. And yet, they could not leave the body this way. Thus, the previously mentioned "guardian of heads" respectfully cleansed the corpse, washed the neck, and tenderly performed the ceremony. "Then where is the head?" Kondō demanded, despite himself. "It is in the headman's storage hut." Kondō figured that there must be other left items in that storehouse, perhaps mementos of the expedition and its captain. He thought that he must absolutely see these items. Moreover, with the fierce determination befitting a sole survivor, Kondō felt a powerful sense of obligation to console the spirits of the fourteen men who died with such fortitude. "So, I must follow through on their intention of traversing the Central Mountains, even if I must do this alone." In this manner, the connection between himself and Captain Fukahori's troupe, with whom he spent less than ten days, began to dominate the rest of Kondō's life. What adversity he would confront henceforth! Kondō continued to lodge, take meals and work in the home of Truku headman Bassau Bōran. When the chance came, he looked in the storage hut. As anticipated, various things turned up—like the skull of Captain Fukahori, stashed for safe-keeping! It was as if the skull had received divine protection there, and that Kondō had been destined [to find it]. There was a forlorn amulet of Fudōson, a Buddhist guardian deity, from Narita temple. Kondō knew not to whom it belonged. Now that he was compelled to finish crossing the Central Mountains, he wanted this amulet to at least protect himself. So Kondō made a point of asking the headman for the Fudōson. In addition, the following five items were left behind: forty-nine business cards printed "Takano Gennosuke, translator," a pair of glasses, one change of shirt and long johns, a pair of shoes, and a set of clothes. Returning to our story. After [Kondō located Fukahori's remains], 1897 passed and 1898 began. Beginning in May, the Aborigines commenced their hunting season. Kondō joined them each time they went out. His purpose was to explore routes across the mountains. 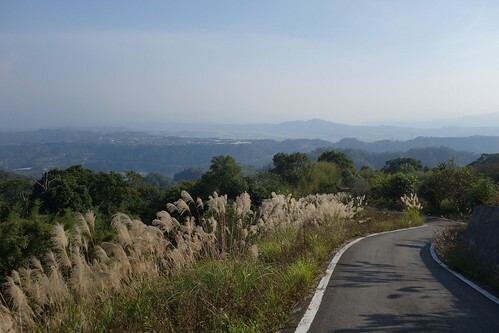 Until he returned to Puli, he looked at the roads around Hehuanshan, Chilaizhushan, and the Neng'gaoshan area while out on the hunt. 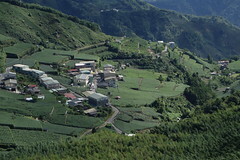 As far as Kondō could see, it was impossible to reach Hualien Harbor via the Takkiri ravine. This was a very precipitous mountain trail; Kondō discerned that it could not be traversed at that time. So, he decided it would be best to ascend Wanda ravine, emerge at Neng'gaoshan, and then descend Mugua ravine. Back in those days, Kondō heard a rumor from the Aborigines that a Chinese man from Quanzhou prefecture named Li A'long had been panning for gold dust. The Quanzhou man said that, even though Taiwan was a colony of Japan, it would be returned to China one day. Therefore, he boldly declared that he would not share the fruits of his labor with the Japanese, but keep the profits from his gold panning for himself. Kondō heard this, and it powerfully recalled his similar feelings toward his own nation. Hearing of a like-minded man, Kondō wanted to meet him. Through Aborigine intermediaries, who introduced him as "Kondō the Barbarian," a tete-a-tete was arranged. 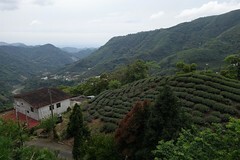 The location was a valley between Hehuanshan and Chilaizhushan! And there met two odd characters, one Chinese and the other Japanese, brought together by common feelings of national attachment. Was this not dramatic? It was a scene right out of the ancient Japanese military sagas. Kondō's stay in Truku lasted one year and eight months, from August 1897 until March 1899, a long stretch. On his return to Puli, he traveled with his two employees, the Aborigine wife [Tappa Kurasu], and twenty-one Aborigine braves, supplied by the headman [Bassao Bōran] as a guard retinue. From Tatsutaka, they returned via Hiyama, emerging from the mountains behind Puli. It was March 20th. Of course, since Iwan Robau and Kondō's other acquaintances thought he had died, the depth of their joy at his return "back to life" can scarcely be imagined. During his nearly two-year absence, the [colonial] administrative organization of Puli had changed completely. The Pacification-Reclamation Office (bukonsho), [formerly in charge of all government dealings with Taiwan Aborigines,] became the District Commissioner's Office (benmusho). The District Commissioner's Office was divided into three sections: finance, police, and Aborigine pacification. Mr. Inada [Tsunayoshi] was head of the Puli District Commissioner's Office, while one Sakamoto Noboru, the current manager the Taiwan Daily News, was put in charge of the third section, Aborigine Affairs. The Wushe tribes were especially happy about Kondō's return. They had experienced hardships due to the trade embargo against them brought about by the beheading of the Japanese lumberjack. Therefore, they asked Kondō to use his good offices to effect a reconciliation. The Japanese assembled all of the headmen and again sternly ordered them to bring back the head of the perpetrator. The Wushe men seemed to think, this time, that everybody's collective hardship was not worth protecting the life of this one man. They duly beheaded Chiri Wadai, the perpetrator. However, they appeared to be greatly irritated and sent Kondō a notice to come fetch the head personally. Cunsumption Pumption, what's your function? 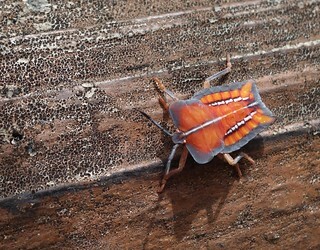 Cool stuff is happening all around us in Taiwan. For example, here's a story about run of the river hydropower being tested in I-lan. Devised by a renowned inventor, Liu Cheng-shih, the millwheel- shaped hydropower facility can generate electricity using the weak water flow in rice paddy irrigation systems, which would represent a new clean energy source suitable for agriculture and poultry farming. Liu said a mini power facility costs about NT$10 million (about US$300,000) and takes two months to install, but the cost can be recovered in six to seven years. Meanwhile, Liu noted, the minimum required span between two mini-hydroelectric generators is only 12 meters, which means that if all irrigation systems in Taiwan adopt the mini hydro station, more than 30,000 sets can be put in place. The papers here announced the latest twist in the struggle to define the voucher program, a vote buying project stimulus program that will distribute $3,600 to every citizen on the island, now the object of much derisive discussion here on The Beautiful Isle. The government has said that foreign spouses will get vouchers! The government seems to have realized that thousands of locals (160,000, according to the article) are married to non-citizens, yea, even unto short, pudgy, balding bloggers. Yesterday the news was saying that Hong Kong was considering a voucher program as well, after looking at Taiwan's. I think they ought to make our vouchers exchangeable for theirs; then we can engage in currency speculation along with our investments in gold. The CNA was reporting today that the voucher program will be handled as a separate budget from the NT$420 billion infrastructure stimulus program now under contemplation, as the DPP had threatened a boycott if the two were stuck together. And if you need a second job, Kaohsiung is currently holding auditions for street performer licenses. More stimulus projects: the goverment is planning to begin development of all that empty land around several HSR stations in 2009. Wang's commitment to the truth can be gleaned from the fact that she is the convener of that idiotic 319 Truth Commission into the attempted assassination of Chen Shui-bian by a Blue nutcase -- trying to prove that Chen somehow staged the whole thing. She also served on the Clean Government Committee of the KMT for several years. Meanwhile a Federation of 155 human rights organizations around the world expressed its concern on the situation here. The international pressure on the island appears to be bearing fruit, as some of the detainees were released last week, among them Dr. Jim Lee, the former director of the Hsinchu Science Park, detained on 27 October, 2008. Shieh Ching-jyh, a U.S.-trained rocket scientist who served as deputy minister of the Cabinet-level NSC from 2000 through May 2006, made the remarks at a year-end fundraiser organized by the New York Taiwan Center, a private Taiwanese-American pro-independence group. Shieh was arrested May 23, 2006 and was held incommunicado for 59 days without being formally indicted as prosecutors were preparing their case against him. He was later indicted on corruption charges in December 2006 for allegedly helping a friend win a contract for a construction project in the Southern Taiwan Science Park in Tainan County to reduce vibrations that might be caused by the high speed bullet trains when they pass the park. Prosecutors recommended a 15-year prison term plus a fine of NT$30 million for Sheih, but the Taipei District Court finally gave him an "innocence" verdit in August 2008. He has written his experience and thoughts in his new book, released only 2 days ago. Shieh, who was blacklisted and barred from returning to Taiwan during Taiwan's infamous martial law era, said that Taiwan's judicial system -- which allows prosecutors to detain suspects without charge -- is unreasonable and bucks the general world trend of respecting citizens' human rights. According to Shieh, Taiwan's prosecution authorities often arrest and detain suspects with no visitation rights on the grounds that the suspects might destroy evidence or collude with potential co-defendants in tampering with evidence if allowed to remain at large. "Under this sort of system, prosecutors can detain suspects arbitrarily without providing convincing evidence to back their suspicions or allegations," Shieh said. Noting that such arbitrary detention, even though legal under Taiwan's system, infringes upon the detainee's basic human rights, Shieh said that even if the detainee is later acquitted, his or her reputation has been seriously marred. Shieh was also critical of the rampant problem of "trial by media" that is so common in Taiwan, complaining that some prosecutors often handle their cases in terms of the amount of media reports they can garner. Topic: Taiwanese Media: Behind the Scenes. Speaker: Tzen-ping Su who served as Chariman of the Board of Taiwan's Central News Agency from July 2002 to June 2008. Tzen-ping graduated from the Department of Economics at National Taiwan University and obtained a further degreee of Diplom-Volkswirt from the University ofFrankfurt in Germany. He taught Economics at Soochow University, then worked forthe German Trade Office as senior staff and then became a journalist. From 1988 on he was a reporter, researcher, department head and then editorin chief at the Independence Evening Post Group. From 1996 to 2000 he worked for the Taiwan Daily as chief editorial writer. In 2000 he was appointed the first non-mainlander DirectorGeneral (minister level) of the Government Information Office (GIO) and stayed there until the cabinet resuffle in Feb. 2002. After that he went to the Central News Agency for the regular six year term as Chairman. With those credentials he can give us a good look behind the scenes of the media situation in Taiwan.. The venue is the same as it has been for the past months. The meeting location is the restaurant 婷婷翠玉 at 174 AnHe Road, Section Two. (rough translation of name is Tender, Pretty Green Jade.) You will be able to tell the restaurant by the lace curtains on the window--it was used in a TV commercial a while back. (We will have the downstairs room--breakfast cost will range between NT$100 and NT$150. Phone if lost 2736-8510. Restaurant is between Far Eastern Plaza Mall/Hotel and HePing East Road--about a half a block north of the corner of HePing East Road Sec. 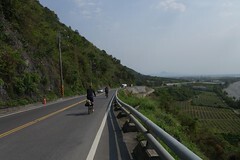 3 and AnHe Road. or a half a block south of Far Eastern Plaza on the AnHe Road side. Take the MRT Mucha Line to the Liuchangli Station exit there, and walk west on HePing East Road 3/4 of a block till you reach where AnHe Road dead-ends into it.Then go north on AnHe Road; it is a half a block up on the west side of that street. Or take any bus down HePing East Road and get off at the first stop that is east of Tun Hua South Road. That will put you at the corner of HePing and AnHe. You can also take a bus down Tun Hua South Road to the stop right across from Far Eastern Plaza and walk over to AnHe Road. Or if you take the 235 bus east, it turns off of HePing onto AnHe Road and the first stop is right across from the restaurant. I am writing to let you know that we are extending the deadline for abstract submission for the Sixth European Association of Taiwan Studies conference to November 30. Please see the revised Call for Papers below. 6. "The impact of changes of ruling parties on Taiwan: Divided versus Unified Government"
7. "The Role of the Media in Taiwan's politics and society"
We particularly invite submissions on these themes for the consideration of an interdisciplinary panel. Panel proposals are not accepted. Please indicate the theme that you submit your abstract to. Masters and 1st year Ph.D. students enrolled in a Taiwan Studies Programme at a European university are especially encouraged to apply to present their research in the EATS MA panel. We will announce the accepted abstracts on 24 December 2008. Participants who present papers and affiliated with European institutions will be eligible for travel grants. Details will be announced. Kondo goes headhunting! Installments 5 & 6 of Dr. Paul Barclay's translation of Kondo Katsusaburo's experiences up to and during the 1930 Wushe revolt, which were serialized in the local Taiwan Japanese-language papers in the early 1930s. Kondo married into an aboriginal family and traveled extensively in aboriginal territory. (For introduction to Kondo and his era, see Installments 1 & 2. Installments 3 & 4.) Dr. Barclay is the general editor of the wonderful Gerald Warner Taiwan Image Collection which I urge everyone interested in Taiwan to visit. Kondō's employee at the trading post, Nagakura Kichiji, was fortunately married to a woman from Truku. Kondō asked Nagakura for help, thinking it would be less dangerous if she were his guide. On August 20th, 1897, all preparations were set, and Kondō left Puli. Kondō, another employee named Itō Shūkichi, Nagakura Kichiji and his wife Tappa Kurasu constituted a group of four. They had to leave secretly, so they chose the backroads because they could not go through Wushe. Furthermore, Kondō could not even tell his wife Iwan Robau, who was from Wushe. The next morning, a severe storm commenced. They lost their way among unknown mountains. Their provisions and trade-gifts were soaked, and they had to throw them away. It rained three days in a row, so they became tired and hungry. On the morning of the 23d, they finally reached the path that led from Xakut to Truku. This was near Sanjiaoling. They were unable to walk any longer, but had to crawl. Leaving his two employees on the path, Kondō screwed up his courage and prodded Tappa Kurasu to [accompany him]. They descended Sanjiaoling for little over a kilometer (10 chō) towards Truku. Suddenly, something quite unexpected appeared. Kondō saw about thirty Aborigines on a small hill poised to attack and behead him. They were awaiting the signal of the chief who stood behind them. When he saw them, he looked for his guide Tappa Kurasu, but she was no longer behind him. What a horrible moment! Kondō composed himself and planted his legs firmly. He raised his hand to beckon them. Fortunately, there was an Aborigine there who used to come to the trading post, who knew Kondō well. "Aren't you Mr. Kondō? That was close!" Kondō was relieved to hear these kind words. It was a Truku headman named Bassau Bōran, who would have a thirty-year relationship with Kondō, one that had just begun. "I figured you had difficulty trading because of your dispute with Wushe, that is why I came to reconnoiter land to build a new exchange post." "Is that so? You are welcome here." Kondō has always said that one need not carry weapons to enter Aborigine country. True to his own advice, Kondō has since always traveled among his Aborigine associates unarmed. Kondō says that going among them half-cocked can even lead to suspicion. The Aborigines have something akin to the "Japanese spirit." If one proceeds in the proper manner, without ulterior motives, and the situation is well understood, then an unarmed person would certainly not be in harm's way among them. I want to see Kondō again. I am old now and do not know when I will die. By all means, please come to see me one last time! Kondō was concealing his true purpose, while pursuing it all along. That is, he still wanted to find the heads of Captain Fukahori's troupe, and explore a route from Truku country to Hualian Harbor. He waited for the annual headhunting expedition and its attendant festivities, which occur around October. In order to accomplish his aims, Kondō would have to go headhunting himself, and participate in their various martial exploits. "With feet like those, you cannot come with us," they said to Kondō. What they meant was that Kondō had to temper his feet so that he could run upon rocks and mountainsides. It was part of his training to burn his feet daily with a bellows to toughen up—he did this for almost a half-month. The reason why Aborigines can climb slate-like sheets of rock that stand vertically, or step down jagged stones, is that they burn the bottoms of their feet to prepare for it. In a word, they train by stepping on hot iron rods. Of course they begin at a temperature that will not damage their feet and gradually raise the heat of the rods they walk upon. While he underwent this training, Kondō awaited the October headhunting season. Kondō, however, was a believer in the Shingon sect of Buddhism, and did not want to do any killing. But Kondō wanted to find out whether or not the Fukahori troupe's heads were around, so he would go along with the headhunters. They even called him their weak little "Japanese savage"; he served them as a lowly infantry grunt. The time had come. October, 1897! The men set out in high spirits. After a few days of sleeping in fields and running around as if on a battlefield, they obtained their quarry, a head. They returned to the village's border singing their triumphs. Here, like something straight out of an ancient Japanese military saga, they cleaned the head and set it up for display and viewing. They washed the neck, pulled the teeth out completely, shaved the hair, and then removed the filth from what remained of the face. Then they wrapped a white sash around the neck. They carefully wrapped the hair to bring home to use as medicine; the teeth were saved for jewelry. The afflicted will exchange a whole chicken and a melon for two or three of these hairs. The beautiful, unadorned heads were hoisted up. Now it was time to enter the village. The populace welcomed them, wearing festival finery. From here, the undertaking known as the "head festival" would commence. "You are welcome here. I have been awaiting your arrival. This village is a good place, please stay here forever..."
Then she placed a slice of sweet potato into its mouth. From a pig killed for the festival, she skewered a little bit of meat, bone, and innards, putting them into the mouth, attaching it to the potato. This is not such a hard scene to picture; it looked something like a Taiwan festival pig with incense stuck in its mouth. After all of the preparations were completed, everybody gathered in front of the tree and called the ancestors' spirits towards the triangular paper in the tree. They offered saké to the head. The headhunting dance began. For a number of days, the people of Wushe danced and drank crazily. Kondō himself had been attracted to Aborigine country, drawn by a grotesque question, "why do the Aborigines hunt heads?" Now, according to Kondō, for the first time he was able to grasp the reality of headhunting. He says, "Aborigine men and women, it doesn't matter which, have a passion for heads, and a way of conceptualizing heads, which Japanese people would never understand." Kondō laughed and continued, "maybe it would be better to have one's head taken by the Aborigines rather than just dying and being cremated in the normal way." It might have been around the 10th of October, the day of the head-hunting festival, that Kondō discovered eight distinctive skulls among the older skulls on the shelf—these had hair on them. Since all Japanese have the "half-inch hair-cut," the Aborigines presumably did not shave them. The faces of these skulls were not identifiable, but [Kondō was] certain they belonged to Captain Fukahori and his men. Kondō had imagined it might turn out this way, but when he actually saw [the heads], irrepressible tears welled up from the bottom of his heart. Kondō had tried so hard, up until that day, to find them, but he was not pleased to see such deformed figures, even though his efforts were now crowned with success. He felt the urge to at least cradle one of the heads and weep. However, this was no time to just break down and let go; he had many things left to accomplish. In order to conceal his tears, he danced and drank with the crowd, pretending that nothing had happened. Now Kondō sought to ascertain whether this was an opportune moment to extract the details about the distinctive heads from the Chief and the other Aborigines. "Oh those skulls!" International Criticism on its Way? "Painful to live in fear, isn't it?" ...and all shall have prizes!